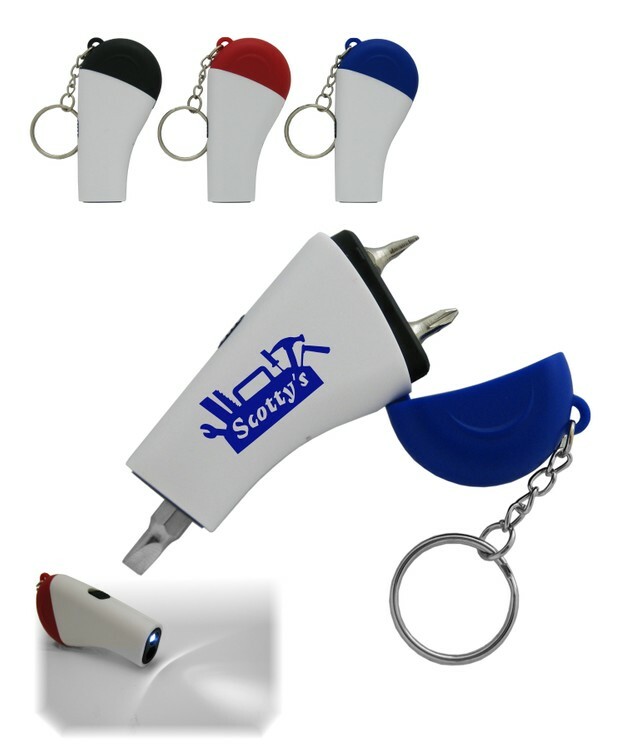 Union Printed, LED Screwdriver Keychain, 2-in-1 Keychain, Never be without light Again! With this Super Bright LED torch. Also features a Screwdriver That Has a magnetic shaft that can hold any standard bit. includes 3 Bits: 2 Phillips, 1 Flat, And a Keychain For Easy Carry with Your Keys or Handbag Together, Mini for travel and ease of use. This is a gift that will be useful for years to come. Decorated in our Union Shop - Union Bug Available at No Charge! • Imprint Area: 1" x .5"